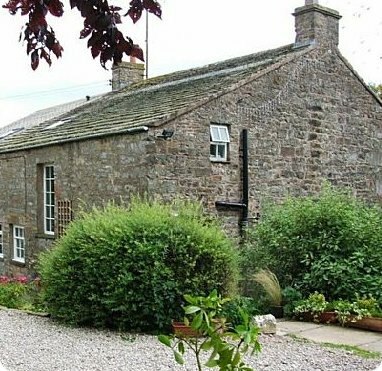 Littlethwaite is a period holiday cottage in the village of North Stainmore, near Kirby Stephen. Situated about mid-way between the Lake District National Park and the Yorkshire Dales, this cottage is a great base to explore the delights of this part of the North of England. The cottage is also about 1-and-a-half miles down a farm track, so ideal for a rural escape. Littlethwaite is a large holiday accommodation, sleeping 10 people in 4 bedrooms - so is big enough to fit in most families! Or should you wish to holiday with friends, Littlethwaite could well be the holiday choice for you. You'll find a log burner at Littlethwaite, so for holidays during those colder months of the year, there's nothing better than returning to your holiday cottage, and warming your toes infront of a real wood burning stove. The beamed sitting room containing the wood burning stove also has plenty of olde worlde character - and the modern amenities you'd expect from a quality holiday cottage, including Sky TV, and a DVD player - so bring those unwatched box sets with you for some evening viewing. Littlethwaite is a great holiday cottage to get away from the hassle of everyday life, and drink in some rural peace and quiet. You can explore the area on foot, on cycle, or take to the car to tour round some of the area. Or, why not just spent some time enjoying the views from the gardens across to the North Pennines.